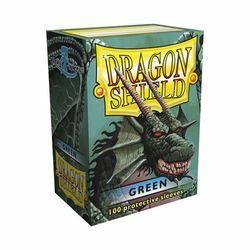 Protect your cards in style with Dragon Shield Classic Sleeves! Dragon Shield Classic Sleeves come with a classic glossy back. Each sleeve measures 2.64 by 3.58 inches, making them the perfect size to protect most collectible cards including Magic: The Gathering and Pokemon..